Khamir’s campus sits on a plot of land in the desert about half an hour outside the town of Bhuj. It consists of a series of graceful, airy buildings that house office space, weaving workshops, pottery and dyeing studios, and spaces for visiting designers to work. 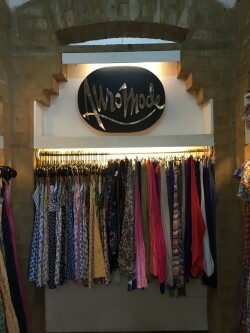 There are exhibition halls, a meeting room, and gift shop, stocked with an ever rotating supply of handwoven shawls, Ajrakh block printed fabrics, leatherwork, and lacquered wood sourced from the rich communities of artisans in the region. Though Khamir often hosts visiting students, artists, and tourists interested in handicrafts, I began to wonder whether there weren’t some missed opportunities to attract and engage visitors who arrive on campus. - what is the experience arriving at the organization like for a first time visitor? - what story does the organization tell about itself, and through what mediums? - how do the organizations leverage local residents to interface with visitors? - what sorts of modes of engagement are offered for visitors of different backgrounds and ages? 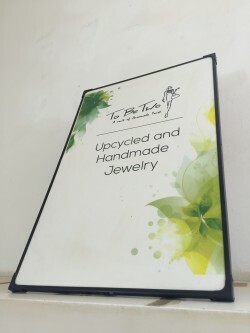 Each of the three organizations I visited had very different goals and brands, but all host large numbers of visitors, and support local crafts and indigenous livelihoods. Plus on a personal note, I was able to combine this trip with a vacation with Ted, Eliza, and Margot! The latter two of whom were visiting us from DC. Auroville is a spiritual center that is home to about 2000 residents, and draws thousands more people as visitors each year. The campus includes the studios of many artists (particularly ceramicists), as well as small scale businesses working on agriculture, village development, and community services. 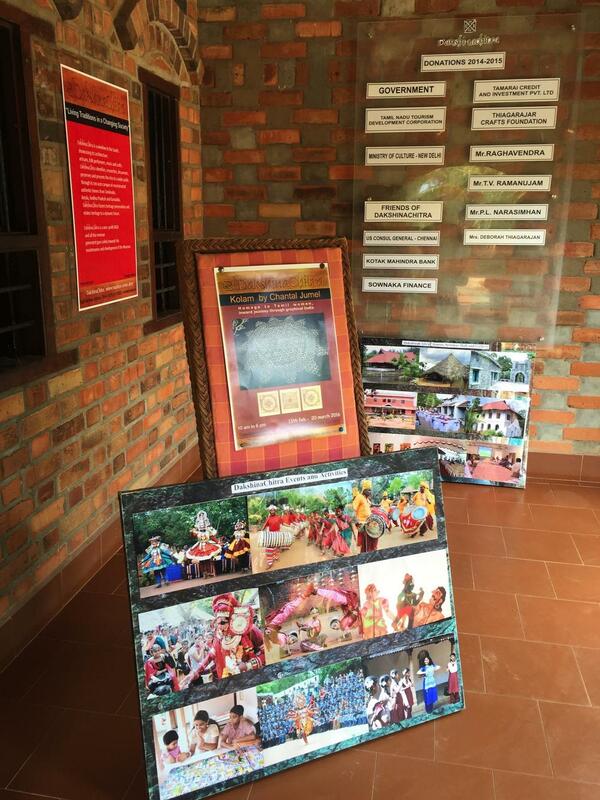 Auroville also hosts the Sustainable Livelihoods Institute, which provides business training to local Tamil women. During my visit, I explored the Auroville campus around the Visitor Center, and met with Nick, Faculty member and Mentor at the Sustainable Livelihoods Institute. 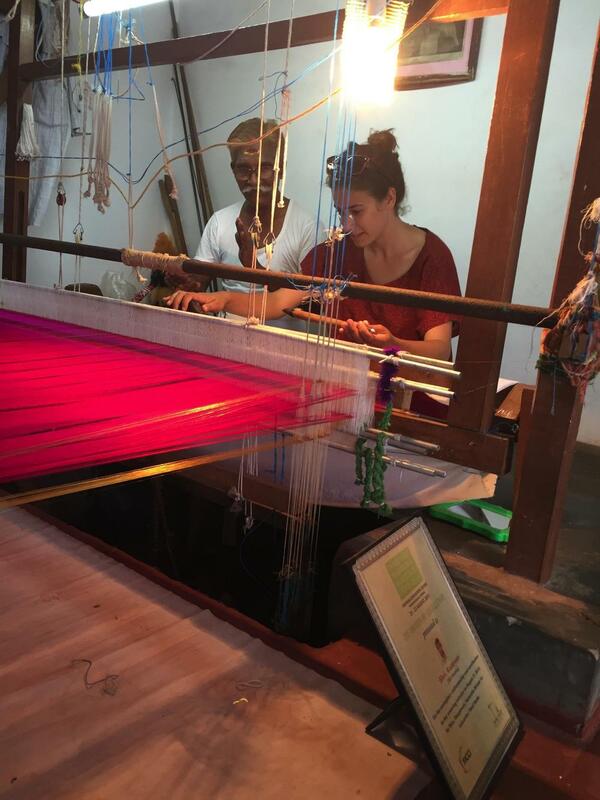 I also spent time at the Auroville handmade paper factory, located in Pondicherry. The Crocodile Bank was founded in 1976 as an effort to conserve India’s crocodile populations. It is home to 8,000 crocodilians of 14 species, some of which are released into the wild restock their natural habitats. The Croc Bank is a leading research center into captive breeding and conservation of reptiles and amphibians, and is also a popular local attraction - the Bank hosts more than half a million visitors each year. The Bank hosts a program to extract venom from poisonous snakes and provide it to laboratories for preparation of anti- venom for medical research. This program harnesses the traditional knowledge of the Irula tribe, whose livelihoods as snakeskin dealers was in danger. Today, the Irulas are self- employed as snake catchers and handlers, milking the snakes and educating visitors. 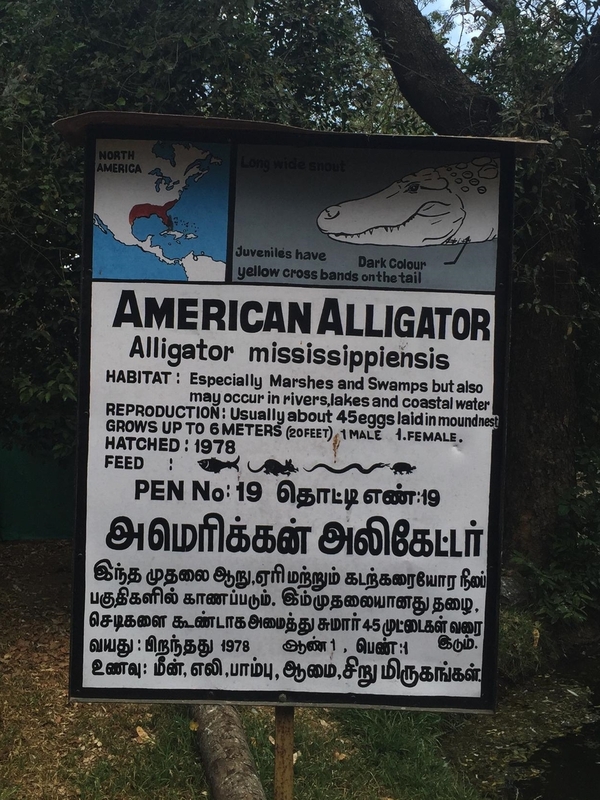 We checked out the crocodiles, saw venom being milked, and observed visitors at the Bank for several hours. I also met with Crocodile Bank co-founder and director, Zai Whitaker. Finally - Dakshina Chitra. Dakshina Chitra is a “living museum” of crafts and lifestyles in southern India. Its campus contains contextual exhibitions, model homes from Kerala, Tamil Nadu, Karnataka, and Andhra Pradesh, live demonstrations of glass blowing, weaving, and pottery, workshops for adults and children, cultural performances of music and dance, and sale of handicrafts. After spending time on each of the campuses of these organizations, I noticed several ways in which they did a great job engaging visitors. Before even getting to Auroville, its presence was everywhere in Pondicherry. 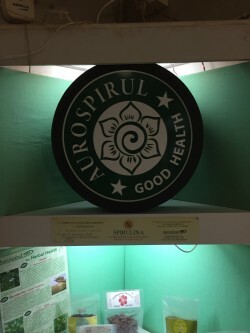 It seemed like every other store wanted to be associated with the Auroville brand and its products. 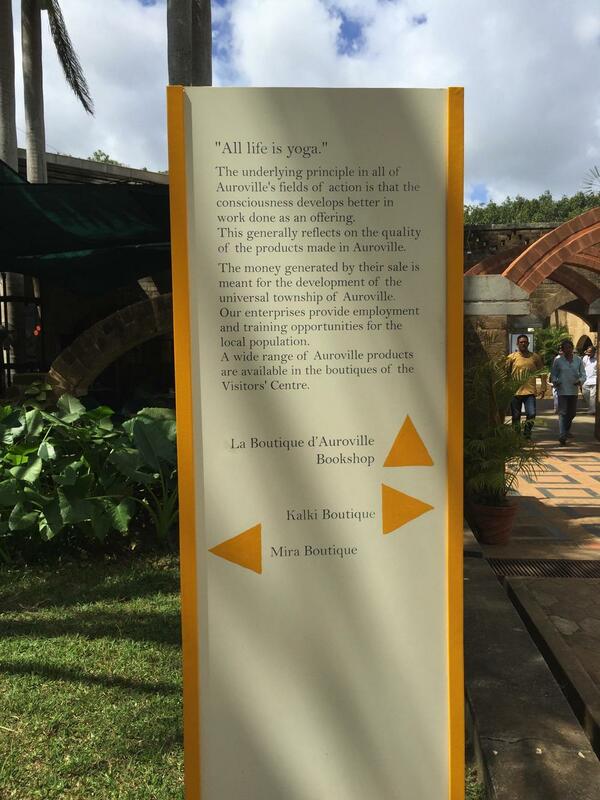 Then once I arrived at Auroville, (and this was true of the other campuses as well), there were a lot of welcoming signage that give you a sense of where you are, what you can do and see, and what the organization stands for. The Crocodile Bank in particular has some wonderfully evocative hand painted signs. 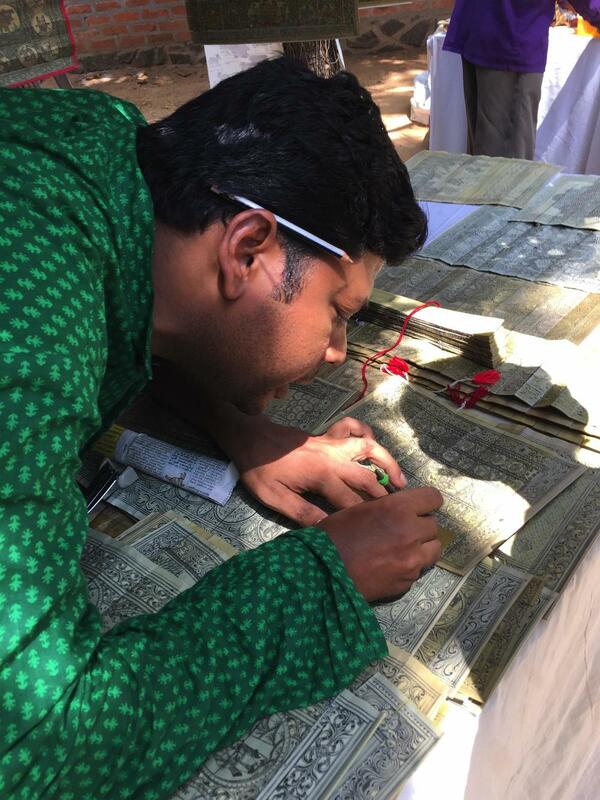 At Dakshina Chitra, visitors can not only observe, they can actively participate and learn. The campus feels like it is bursting with opportunities. Some activities, like learning a bit about pottery for Rs.200, seemed like a simple way for artisans to make a little extra money for their trouble. I wanted to try my hand at Kalamkari painting when I saw it listed, but then realized it was only for kids. Oh well! All over the campus were workshops of artisans actively weaving, hewing wood, throwing pottery. We noticed that some of the exhibition halls had sponsors listed, tying them to local businesses or corporate partners. 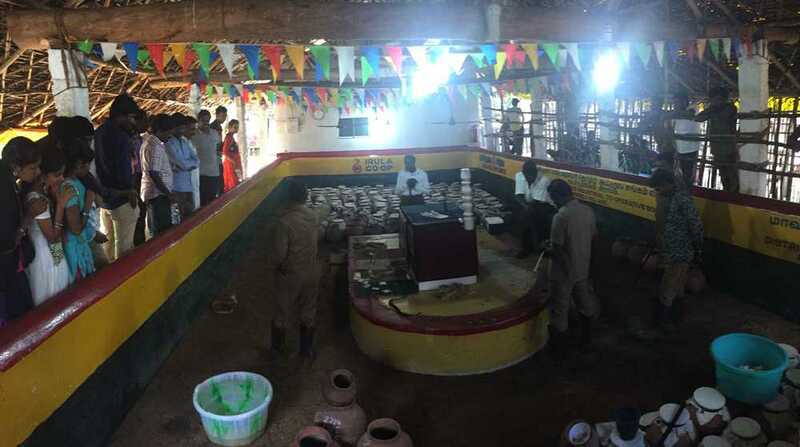 The Crocodile Bank hosted members of the Irula tribe, who held animated conversations with local tourists and displayed their amazing talent at handling and milking venomous snakes. Actually seeing, rather than just reading about these indigenous communities at work really hammered home their incredible skill. 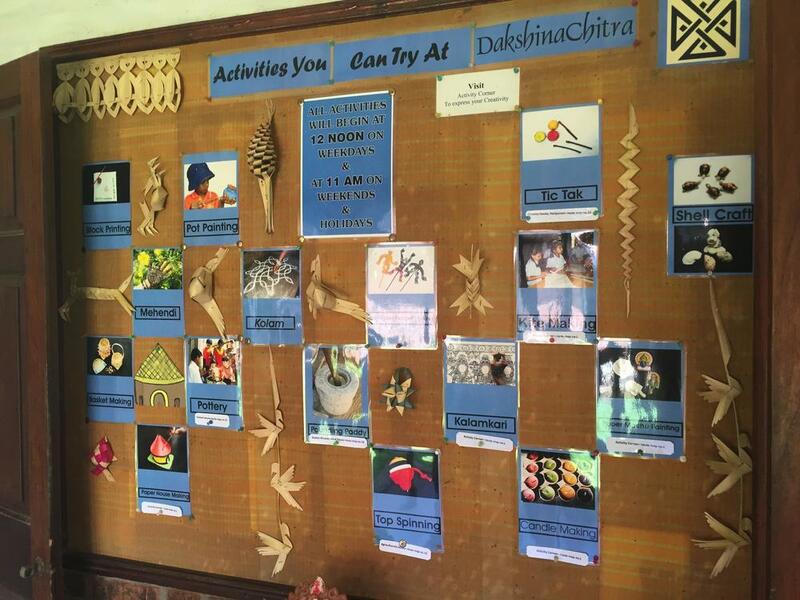 Dakshina Chitra and Auroville give visitors a complete view of regional culture, beyond what their own programs covered directly. There is local food and fresh juice, dance programs, libraries of interesting books, and music. Message boards show upcoming events from the community, news from partner organizations, making the campus feel like it is part of a broader network. I saw that every space on a campus can be an opportunity for visitors to learn while seeing, making - or shopping. 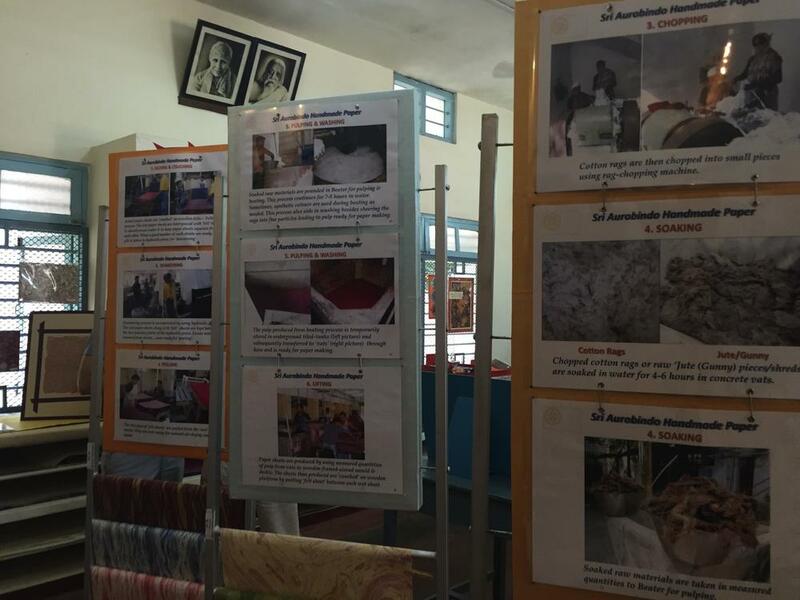 Auroville’s paper making factory transformed their gift shop into a quasi museum space. Simple posters displayed background information about culture and craft, so that I could learn about the process of papermaking, and then immediately purchase the things I’d learned to appreciate! 3. Create a message board where community members and partner organizations can post news and updates. 4. The gift shop can be a learning experience. 7. Create a brand with a flexible set of visuals that artisans outside the campus want to be associated with. Khamir’s new director is making campus activation one of her primary goals when she begins her tenure in April. So our next challenge will be to prioritize and implement these ideas!